Hi, we're the Tidewater and Tulle crew, and we're addicted to velvet. 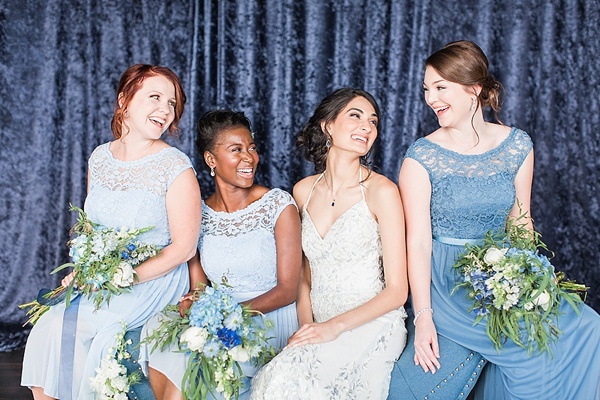 We think everything should be wrapped in this sumptuous and soft fabric, and we couldn't be more excited that it is a current wedding and fashion trend making its way around the world! From ribbons to ring boxes to linens, velvet shines brightest in a variety of hues perfect for fall and winter wedding celebrations. 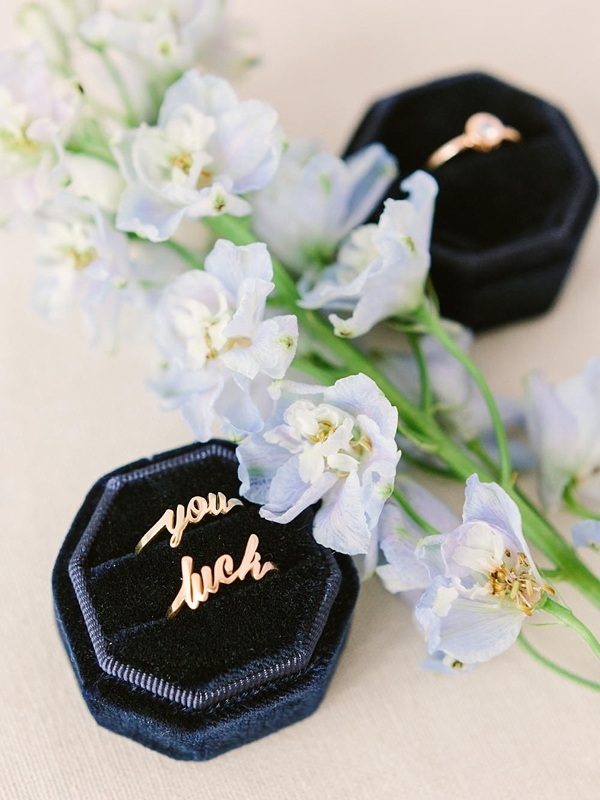 Curated from Etsy and from our fellow wedding editors, we gathered up the chicest and most luxurious details to inspire any bride or groom whose hearts match our own in velvety goodness. Now pardon us as we go cuddle with our velvet quilts while wearing velvet jammies on our velvet couch. 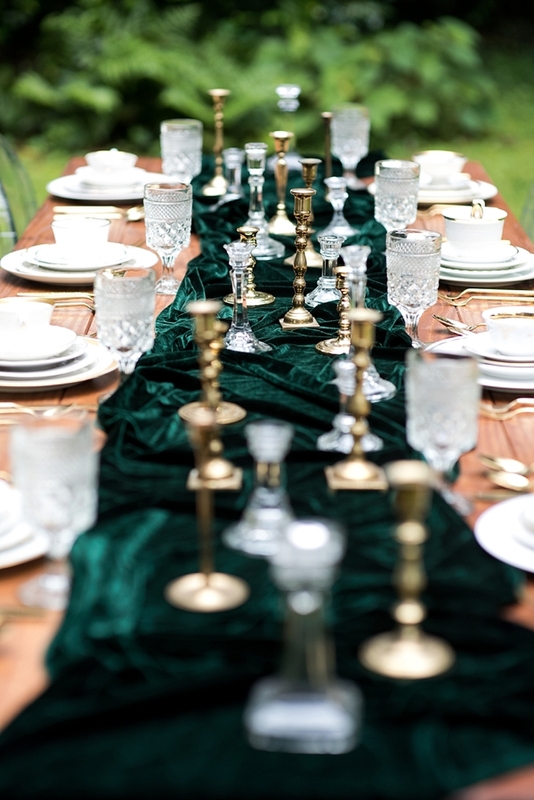 Luxurious and oh so picture perfect, a simple velvet table runner pairs well with any florals on your wedding table. We say yes to this detail! Pink velvet? Need we say more? 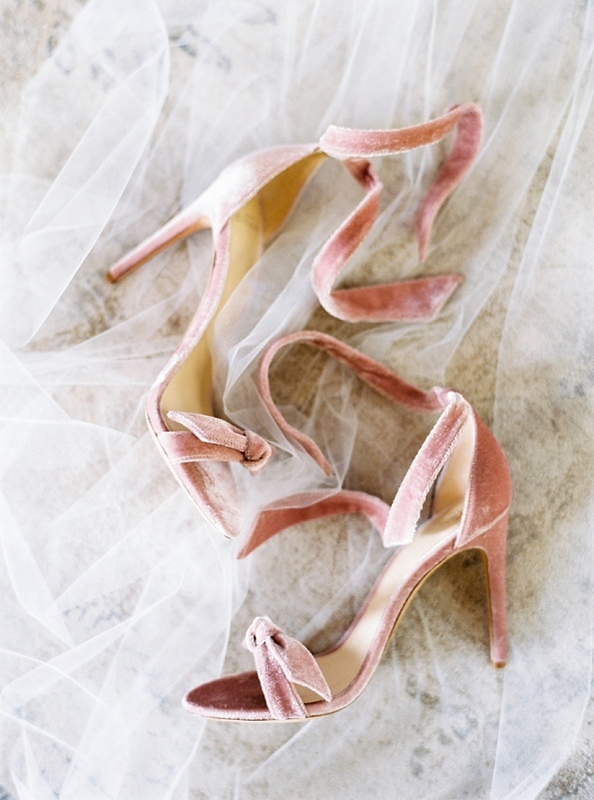 These gorgeous shoes are a gorgeous touch to peep out from a wedding gown, and the ankle tie is the quintessential feminine touch! Pardon us as we hyperventilate over this coastal beauty. 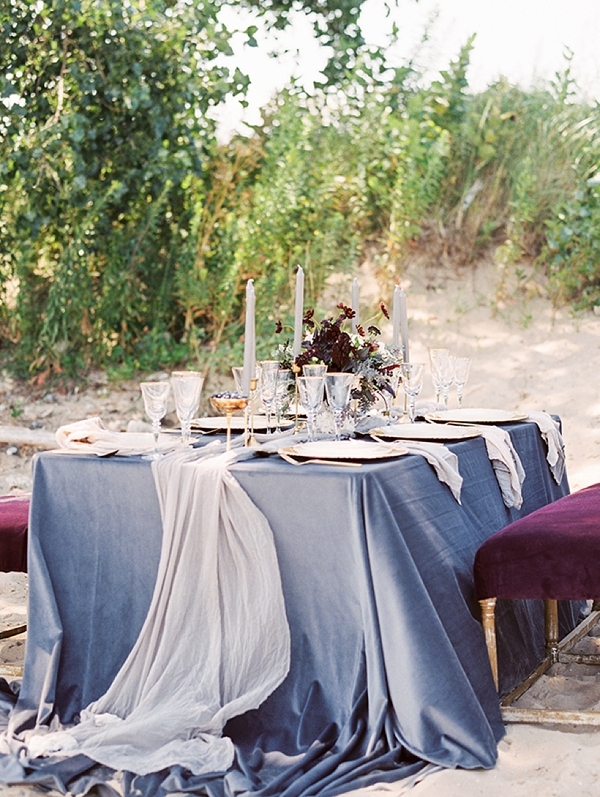 A velvet tablecloth is the ultimate in a beach wedding meets chic luxury theme! A touch of geometric with timeless velvet. Enough said. 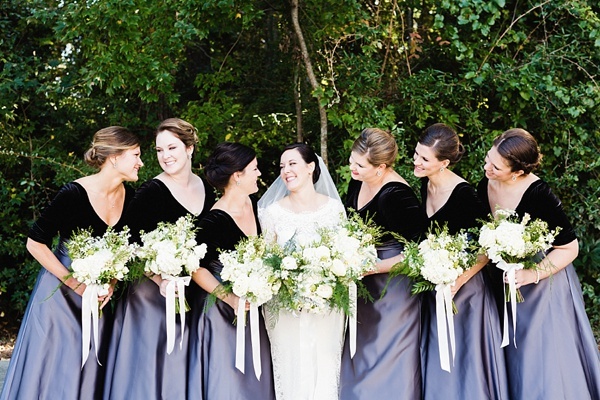 Any wedding party ups their glamorous attire with different fabrics, and we love how these black velvet tops paired with their satin skirts! Gone are the days of itchy stiff garters! Get comfy and chic with this velvet accessory. We're pretty sure you won't want to toss it at the end of the night! 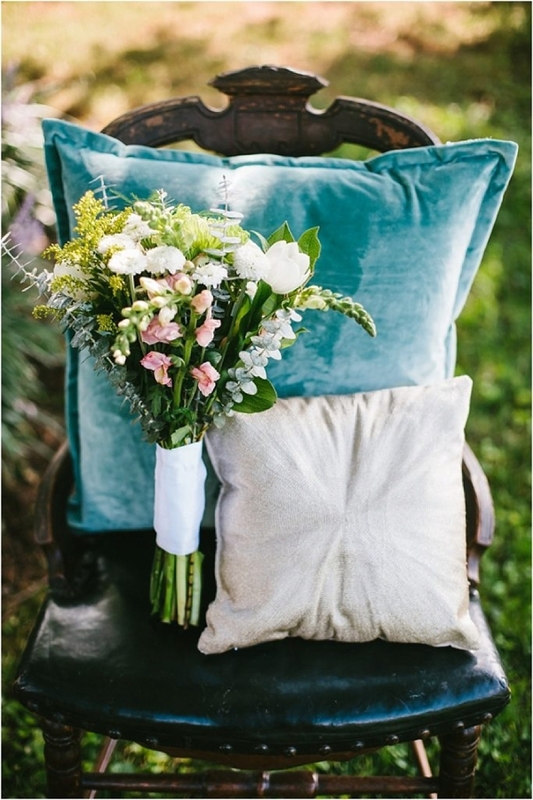 Grab some velvety pillows to pair with other textured fabrics like cotton and sequins for a stylish wedding reception lounge area. For a pop of color with your greenery bouquet, velvet ribbon can give you a subtle touch of wedding opulence. 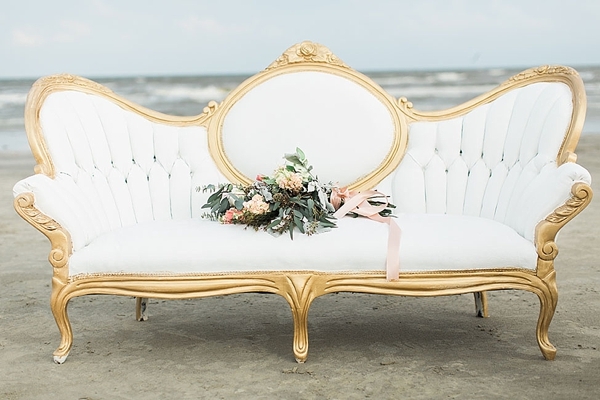 Your local wedding rentals company likely has a ton of beautiful velvet details you didn't know you had available to you, and one of the most popular items is the vintage velvet couch! 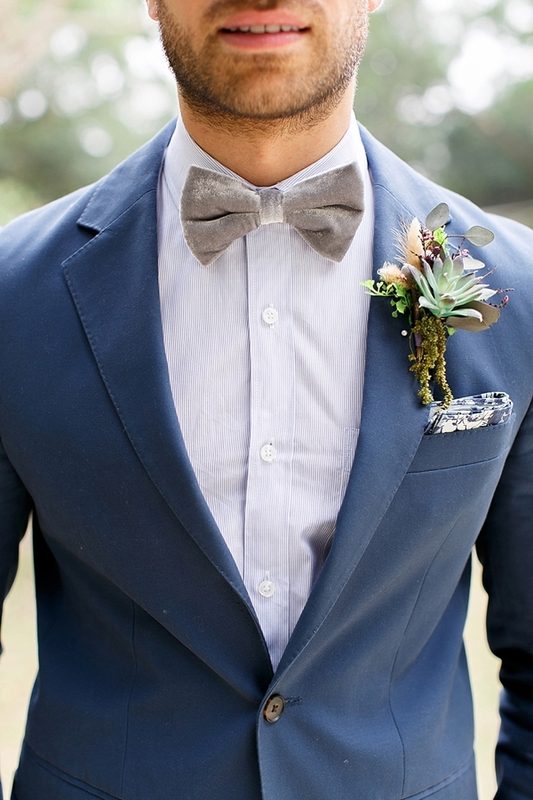 We're weak for bow ties, and velvet bow ties just makes our obsession even deeper, especially for a fall or winter wedding! Oh, hello, most beautiful photo backdrop ever! The way light catches on crushed velvet is just dreaminess and practically demands to be at a wedding as a statement piece. 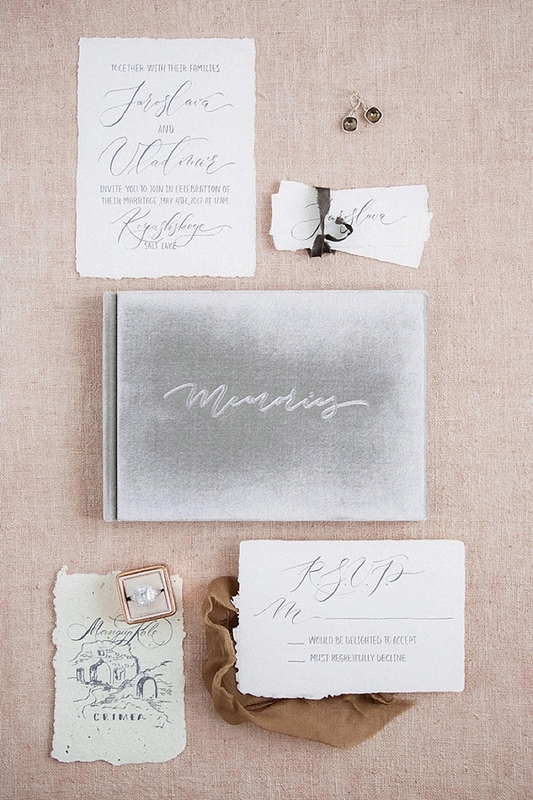 Velvet guestbooks exist, and it's glorious! A lovely heirloom to pass along to future generations is all in this keepsake. 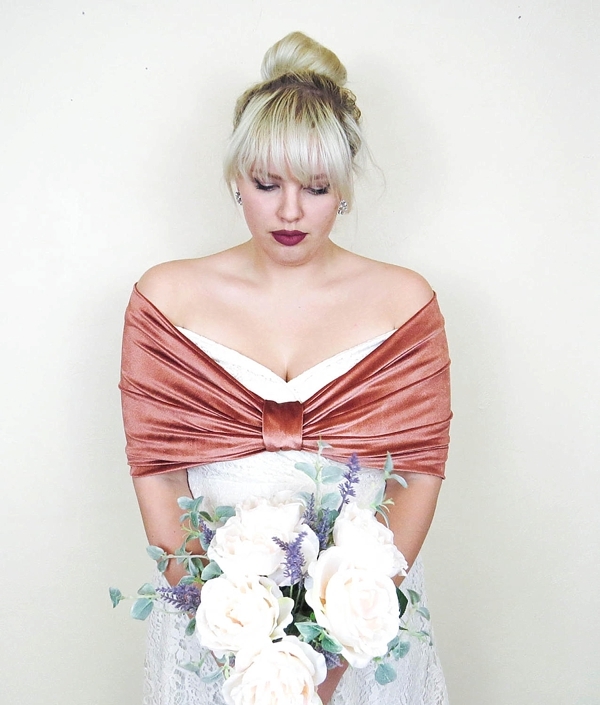 Whether for brides or bridesmaids, the splendor of a velvet shawl is such a beautiful and practical accessory for any chilly weathered celebration.